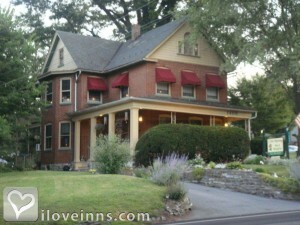 Strasburg bed and breakfast travel guide for romantic, historic and adventure b&b's. Browse through the iLoveInns.com database of Strasburg, Pennsylvania bed and breakfasts and country inns to find detailed listings that include room rates, special deals and area activities. You can click on the 'check rates and availability' button to contact the innkeeper. Strasburg is a rural town in Lancaster County, Pennsylvania. Strasburg was once called 'Train Town USA' because railroads crisscross the town. These railroads, including the Railroad Museum of Pennsylvanian and Strasburg Rail Road, are considered the town's major attractions. A large part of the town has been included in the National Register of Historic Places and has been declared as a historic district. Nearby Strasburg is the Amish Village, a historical museum that displays the traditions and culture of the Amish. Visitors and locals shop for souvenirs and other items at Rockvale Square Outlets and at Strasburg Antique Market. To be entertained in the evenings, go to the Sight and Sound Theatres. These are accessible from Strasburg bed and breakfast inns. By Limestone Inn B&B.